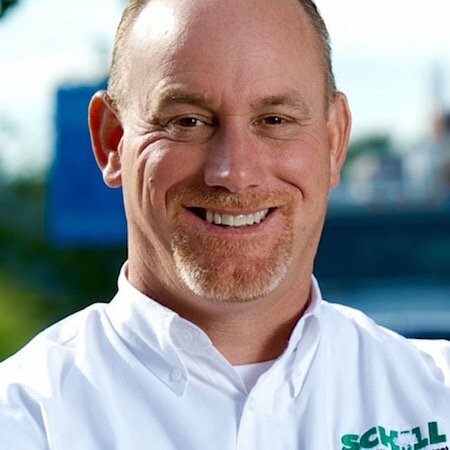 With winter weather being so unpredictable and the cold slowly creeping in, here at Schill Grounds Management our number one priority is safety and preservation. The harsh cold can take a serious toll on your property if unprepared, which is why we’ve compiled a list on preparing your property for the harsh cold in Northern Ohio. If your property is located in the Midwest or eastern United States, then you know how rough winters can be. 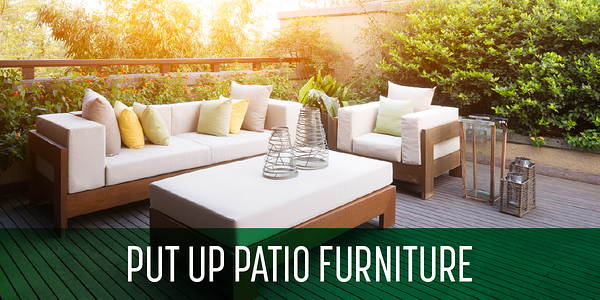 As much we all love to lounge outside during spring and summer months, outdoor patio furniture has to be protected if it’s to last. Freezing rain, snow and ice can wear on the surface of your chairs, tables, sofas and other pieces, causing cracking and deterioration. Preventive steps such as applying protective sealant to wood furniture, storing plastic and wrought iron furniture and covering cast aluminum patio furniture will protect and preserve. Removable cushions should be stored indoors and covering the pieces with tarp will keep dust from accumulating on them. 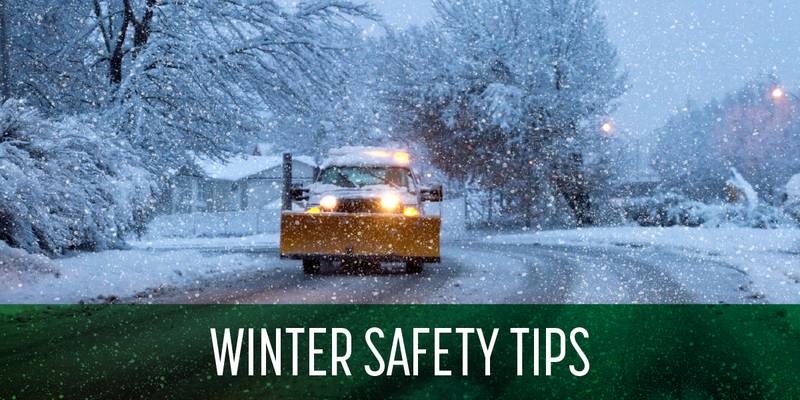 Salt is the preferred choice to clear roadways, sidewalks, driveways and walkways. It works great as it lowers the temperature causing snow and ice to melt faster. Therefore, driving and walking become much safer. 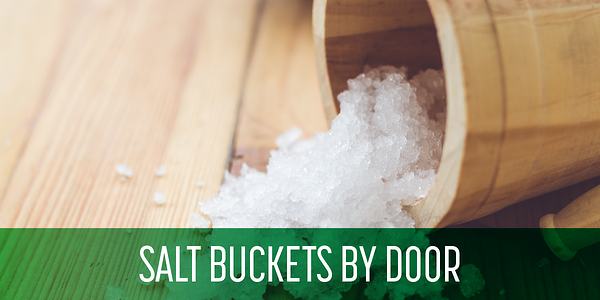 That’s why it’s important during the harsh cold, salt is abundant and readily available. Having quick access to put salt down can prevent more than 80% of accidents that can potentially occur on the road and walkways. .
Keeping common areas with hard surface floors dry, can be just as easy as having a dry mop readily available. Walking through snow and rain, we’re bound to track water as walk into buildings form outside. The bottom of footwear will only dry off so much with rugs and carpet, no matter how much we wipe our feet, water will still be there. 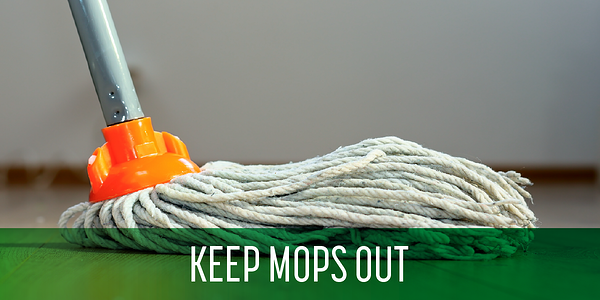 The best way to prevent accidents is to have a mop nearby to quickly remove water, snow and dampness from high traffic areas. Also keeping yellow caution signs for those areas make people aware so they’re more careful when walking in those areas. 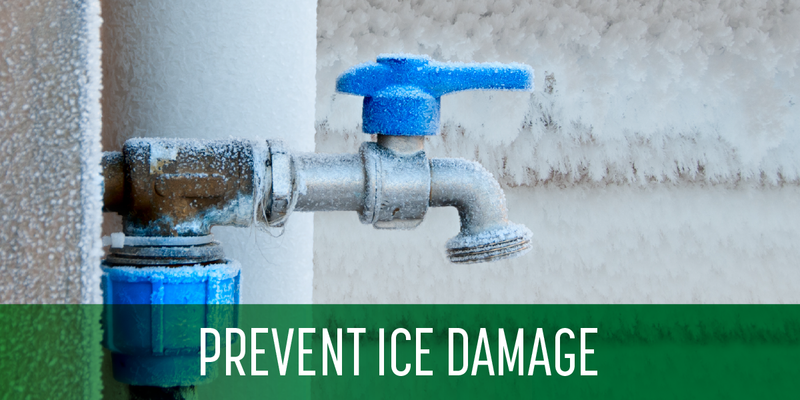 Ice buildup can cause expensive damage to your property and once it starts, it can be dangerous and destructive. Ice builds up on roofs, chimneys, gutters, faucets, driveways, handrails and walkways. Preventing build up on the roof can drastically eliminate ice dams and prevent water damage. Also making sure your roof is in good condition and won’t collapse from heavy snow build up is also recommended. Gutters are also a place where ice likes to accumulate and therefore need to be cleaned before snow hits. Unfortunately, since Fall comes right before Winter, leaves and debris can pile up in the gutter. Make sure gutters are cleaned, are in good condition and downspouts are directing water at least 10 feet away from the foundation of the property to prevent any ice build up around the foundation. 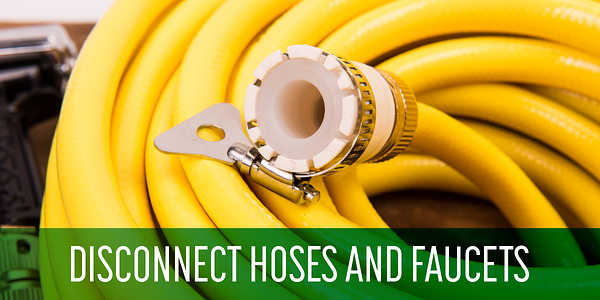 Hoses and sprinkler systems need to be removed in order to prevent freezing, cracking and breaking. Making sure to drain all the water first before moving into storage. Cold temperature causes water to expand and of course freeze. When it does that, the pipe or hose can break. Make sure the shutoff valve for the outdoor faucets are in fact turned off and then turn the nozzles so that all of the excess water can drain leaving no potential for ice buildup. This also gives you the opportunity to plug any leaks and make sure any issues are taken care of before freezing starts. In the case of emergencies, it’s very important that you have proper contacts on hand and your staff is briefed on what to do. This not only helps to get problems solved quicker but prevents a frenzy that can potentially make things worse. 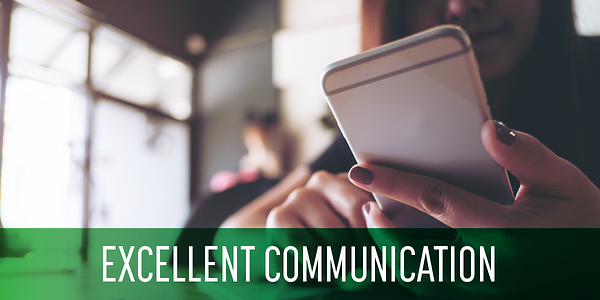 Excellent communication is also essential. Although you can do lots of preventive maintenance, it does not one hundred percent ensure against incidents occurring. Smooth communication between staff and contractors makes fixing issues easier. Making sure everyone is aware of what’s going on helps to prevent further damage. If the situation becomes unsuitable for working conditions, having a designated person to inform everyone provides convenience, helping to solve problems faster. 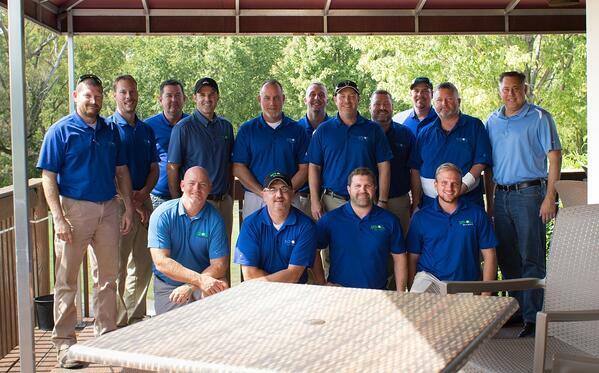 Schill Grounds Management is one of the top commercial snow removal contractors in the country. As one of only 22 contractors to have received SN 9001 Certification, we understand the needs and concerns of our clients. We’ve built a comprehensive system for snow and ice management, including a 24/7 call center and weather tracking station. Check out our other snow removal tips to fully protect your property this winter and make sure to download our Ultimate Guide to Hiring a Snow and Ice Management Contractor.